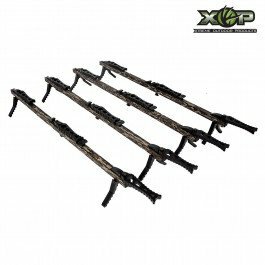 Mossy Oak bottomland dipped climbing Sticks feature arch step technology, heat treated steel fast strap buttons, deep stand-off brackets that provide more space between your boot and the Tree and lock tight stick stacking system. If you have any questions about this product by XOP-XTREME OUTDOOR PRODUCTS, contact us by completing and submitting the form below. If you are looking for a specif part number, please include it with your message.